Author Charity Singleton Craig reached out to us in search of new professional photography for her website — knowing that request included headshots. Beyond that, she wasn’t certain. And so we worked with Charity to explore the visual story that she wanted to send through her photos and then created a comprehensive shot list that resolved all current needs on her website and any future opportunities. "Keyhole Marketing took time to understand my vision for presenting myself and my work online, and the photo session and photos they provided reflected not only that understanding, but also a great deal of professionalism, creativity, and artistry. I couldn't be happier with Joe's work." We wanted to combine both her personal and professional passions in the images for her website, and so we eventually selected the alleyways, train tracks and other notable landmarks as a tactile representation of her personal and local brand. 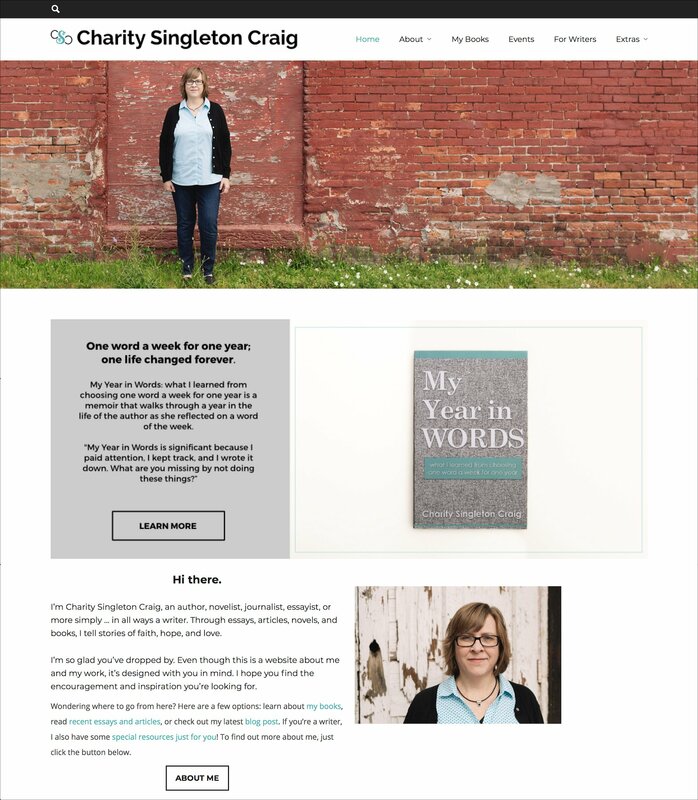 Beyond the headshots, we also identified a list of still life photograph needs, such as covers of the books she’s authored — including My Year in Words and On Being a Writer: 12 Simple Habits for a Writing Life that Lasts — and new hero images that showcase the tools she uses as a writer. Many of these photos can now be found on her updated website.